Amy represents clients ranging from excited and nervous first time home buyers to sophisticated luxury beachfront property owners. 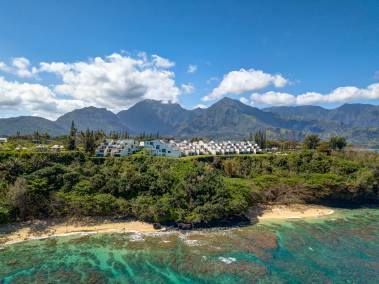 Her real estate experience on Kauai began with her own investments and development including new construction, renovations, owning and managing vacation and long term rentals, CPR projects and 1031 exchanges. 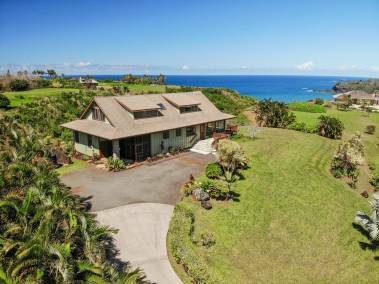 In 2015, Amy was among the top 10 agents on Kauai for sales volume and in the top 100 for the State of Hawaii. Amy is a long time Hanalei resident, was born and raised on Kauai and has four generations of family living on the island. Her background includes luxury property estate management for prominent owners on the North Shore. She has also served as the Hanalei School PTSA President and has maintained great relationships with various North Shore community organizations. 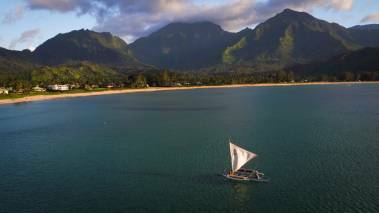 Amy prides herself in bringing integrity, commitment, attention to detail, and an extensive knowledge of Kauai to the service of her clients. Amy lives an active lifestyle with her husband and two boys who all share a love for the ocean and the island. We wanted to share our great experience with Amy Frazier as our realtor. Throughout the past 25 years, we have bought and sold approximately 20 properties (rental and private residences). Therefore, we have experienced many different realtors and customer service styles. Amy was, by far, the best realtor that we have experienced. We can honestly say that Amy Frazier exceeded all of our expectations and beyond. From the first day through the closing of our two real estate transactions through Hawaii Life, Amy was very professional and provided excellent customer service. We were very impressed by Amy’s continual customer service throughout the entire process. Many times, realtors will work to get a listing, but then stop there. They let someone else do the work to sell the actual property. This was not the case with Amy. She worked tirelessly to get our property listed, marketed, showings, and then closed. We were very impressed that she attended almost every showing to ensure that she could market the property, readily answer questions, provide immediate feedback, etc. Amy was always in constant contact and immediately answered all of our questions. She went beyond the call of duty many, many times. Purchasing a home is a complicated and, often, intimidating process; and, whether moving five miles or, 5,000 miles as was our case – working with an absolutely qualified and extremely capable real estate professional, as Amy Frazier – is essential! Finding and buying our ideal Hawaii home, would not have been possible without the invaluable expertise and keen market insights of Amy, who engaged us in a professional working relationship at the outset, understood precisely our preferences and desires in locating our Hawaii home, and provided uncompromising assistance in each and every facet of the process.